Availpro and Fastbooking are continuing in their merger with the appointment of a new CEO. 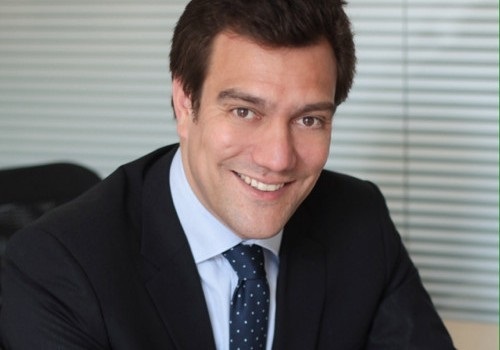 This summer, Pierre-Charles Grob took over as head of the two sister companies, subsidiaries of the AccorHotels group. Before taking up his new position, Pierre-Charles Grob had, since 2014, held the position of Managing Director Asia at Fastbooking, where he developed the presence and reputation of the brand. "His career in the international hospitality industry, his entrepreneurial profile and his client-oriented culture make him the ideal person to lead the growth of Availpro and Fastbooking and make these two companies a world leader in software publishing for the hotel industry "comments Thibaut Viort, Chief Disruption Officer & Growth Officer at AccorHotels. Created in 2001 and 2000 respectively, Availpro and Fastbooking provide e-commerce solutions to independent hotels and hotel groups to develop their online distribution. In recent years, they have each developed unique and recognised expertise in their field: technology and connectivity for Availpro, UX and Digital Marketing for Fastbooking. Together they offer a range of leading technological solutions for the hospitality industry and today support more than 10,000 hotels in nearly 100 countries in Europe and Asia. "Availpro and Fastbooking are complementary: my ambition is to accelerate the synergy of their solutions without losing the DNA of each of the two brands and their proximity to customers. The hospitality industry is evolving rapidly, and the pace is steady in terms of innovation. Hoteliers need agile and innovative technological partners, and I intend to make Availpro Fastbooking their partner of choice," remarks Pierre-Charles Grob. Christine Tan, promoted to Managing Director Asia Pacific, after having successfully held the position of Fastbooking's SVP Strategic Sales & Accounts Management in this region. Philippe Lamarche, founder of Availpro and previously CEO of Availpro and Fastbooking comments, "I have worked with Pierre-Charles for several months and I am convinced that he will be able to lead these companies in their development. He is very familiar with the business as well as the clients and over the last four years in Asia he has acquired a decisive experience to make this new group a leader in innovative technological solutions for hotels." Founded in 2001 and 2000 respectively, Availpro and Fastbooking are a leading technology provider to the global hospitality industry. Their mission is to help hoteliers increase their revenues by optimizing their digital distribution. Together, Availpro & Fastbooking provide their customers with a full range of products and services, to bring the digital traveller to their hotel, whether by booking directly through their website or through an OTA or GDS. The range includes a suite of à la carte or integrated solutions: CRS, Connectivity, Business Intelligence, Web Creation and Digital Media.